Fiona Mistry was born into a racially mixed family in England. Although her father was from India, she had her mother’s English skin with a touch of color. Fiona discovered her ability to dream lucidly at age 18 after the death of her mother. The first dreams she vividly remembered were dreams about her orchids. But as she aged, her dreams changed. One night while dreaming, she found herself in a bar in downtown Nashville. When she looked into the mirror behind the bar, the face looking back wasn’t her own. It was the face of an African-American woman dressed in 1940s fashion, but she knew she was looking at herself. As her dreams continue, Fiona realizes that she and the man she loves are living as African-Americans before WWII, and all the people in the bar are people she knows or had known in her waking world. 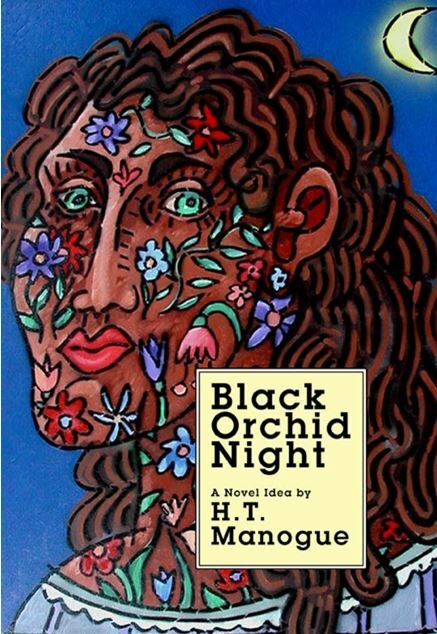 Black Orchid Night is the story of Fiona, her loves, and her dream world. She begins to ask herself questions like: Where do we go at night while dreaming? Are our dreams as real as our waking life, and when we dream, who are we? Do we see others we know in our present lives, or are there visions that seem familiar, but aren’t? Is something going on while we sleep that goes beyond random thought, and if so, what is the purpose? Fiona slowly discovers the answers with the help of her therapist and all the people in the Black Orchid Bar.